As Marketing Manager, Jenna is responsible for creating and facilitating the distribution of all Sari & Team print, digital, and social media content. She has an extensive background in implementing marketing strategy and the creation and execution of business development plans. For over five years, she served as a Marketing and Client Relations Representative at a premier Newport Beach law firm. In her position, she led all marketing and client development initiatives for the firm and created personalized marketing plans for each attorney. Jenna uses her passion for innovation and creativity to drive Sari & Team’s marketing strategy and social engagement. Her marketing experience, business mindset, and overall work ethic perfectly align with Sari & Team’s vision and core values. 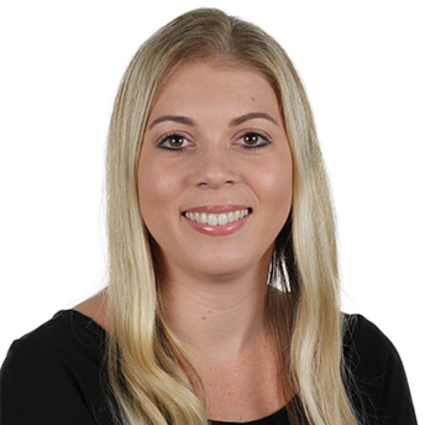 Born and raised in Southern California, Jenna received her bachelor’s degree in Advertising and Mass Communication from California State University, Fullerton in 2011 and currently resides in Laguna Niguel.